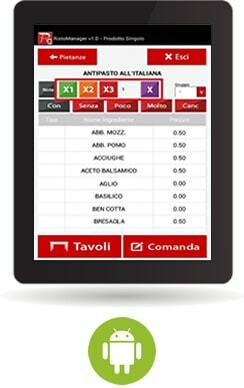 THE BEST SOLUTION FOR RESTAURANT POS SYSTEM THE IDEAL SOLUTION TO MANAGE TABLES USUNG YOUR TABLET AS WELL! A studied management to better satisfy the requirements of all the Food and Beverage activities. The software allows you to manage the service with velocity and precision, taking under control stocks and the magazine, build customer loyalty and analyze the progress of the activity. 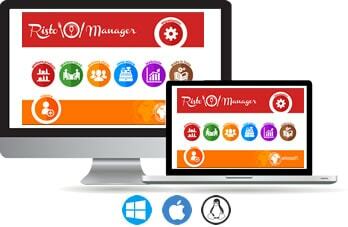 Practical and fast, RISTOMANAGER is the ideal software for management through the use of Android and iOS devices. With RISTOMANAGER managing the halls of a restaurant becomes easier than ever. TRY RISTOMANAGER, DOWNLOAD AND START USING THE FREE DEMO VERSION! By installing the software on your PC or Mac, you will have the opportunity to create the map of the tables and quickly organize your room. Controlling the orders and taking into account the orders is the main feature of Ristomanager, which allows you to better manage your own restaurant. You also have the ability to handle the cashout faster, in order to create the takeaway orders. Once an order is placed at a table, the software sorts orders according to pre-configured receipts. The software can be connected to one or more Android tablets, so the orders can be taken even not being close to the PC. 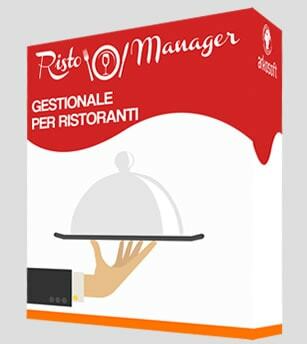 By downloading "Ristomanager Gestione Comande" directly from Google Playstore or Apple store, you will have the possibility to manage in real time the orders of your table, and check if there are orders in progress. 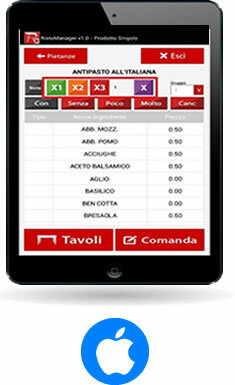 With Ristomanager App it will be easier to manage your restaurant, to see the tables occupied, to print receipts directly from the tablet and to clear tables. Please remember that Ristomanager App does not work without the software on your PC. For more information consult the guide.